What device does my son or daughter need at Kennedy? The device must last the entire school day without requiring a recharge, as there will not be facilities at the College to do so. Must be at least 10.1” and no more than 15.6’, we recommend touch screen. Students who have difficulty in writing or copying accurately will benefit from a rear facing camera. Macbooks are permitted but be advised that teachers can only provide limited support. IPads are not supported and cannot be used for the Online NAPLAN tests. Windows 10 S: It is recommended that users switch out of S mode as the security restrictions imposed by Windows 10 in S mode limits the ability of students to install software which is not from the Microsoft App store. This may restrict the functionality of the device whilst at school. We recommend at least 4GB RAM, 128GB storage. Must have a good case to protect the device from accidental drop which happen. External storage for backups, mouse if desired. 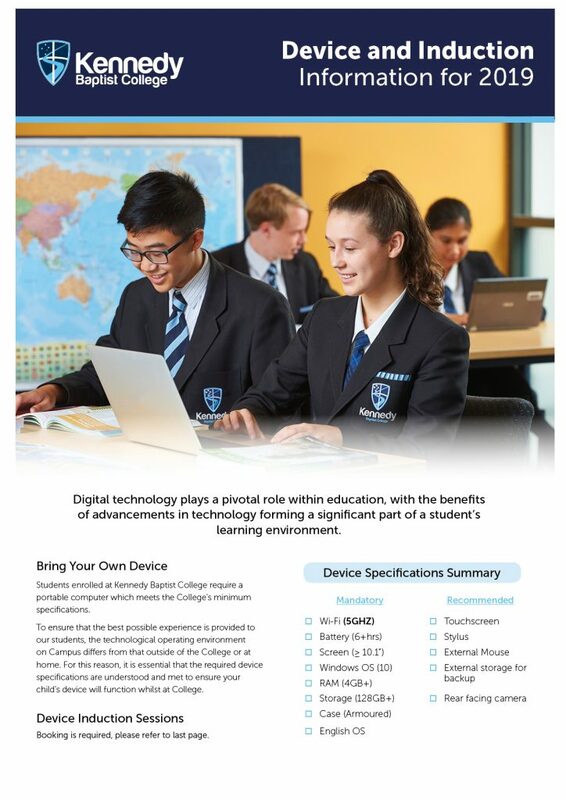 Please click here for more information on Device and Induction Information for 2019. It is imperative that you check before purchasing any device that it meets the College's minimum requirements. The above devices are provided as guidelines and you should be able to get a better price if you shop around, especially during sales. However, there are a range of devices at a variety of prices that are suitable. Remember, the ICT team are here to help, so feel free to contact them if you have any queries on your son/daughter's device. Please note: Licensed copies of all required software applications will be provided for students to install as necessary - this includes Microsoft Office. 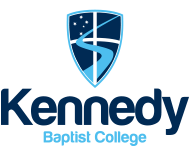 In order to ensure that students and their computers are ready for commencement at the College, the Kennedy ICT Department run Device Induction Sessions in January before the start of each school year. Click here to book your session. provide information about the network resources available Kennedy. For further queries please contact the College, or email the IT Team.